Art and culture are alive in FEU! 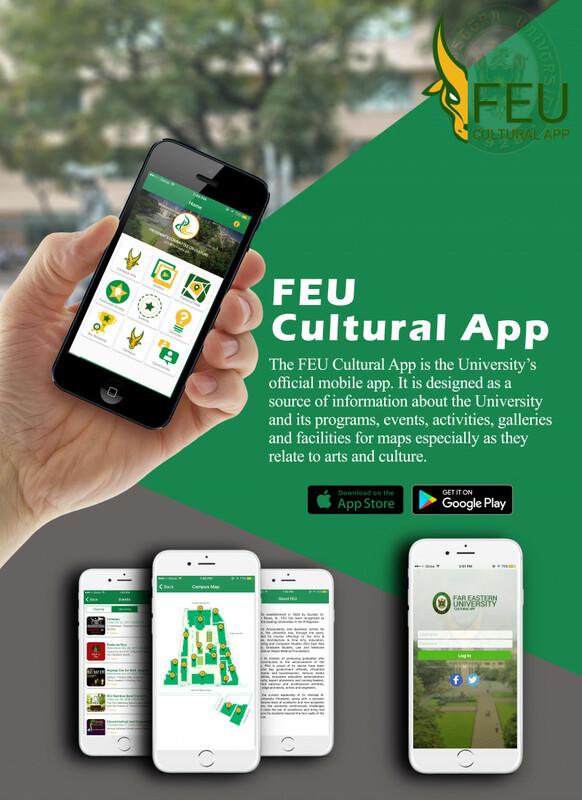 No less than the office of the University's chief executive ensures that the FEU community is provided with opportunities to appreciate the best artistic and cultural outputs from the Philippines and other countries. 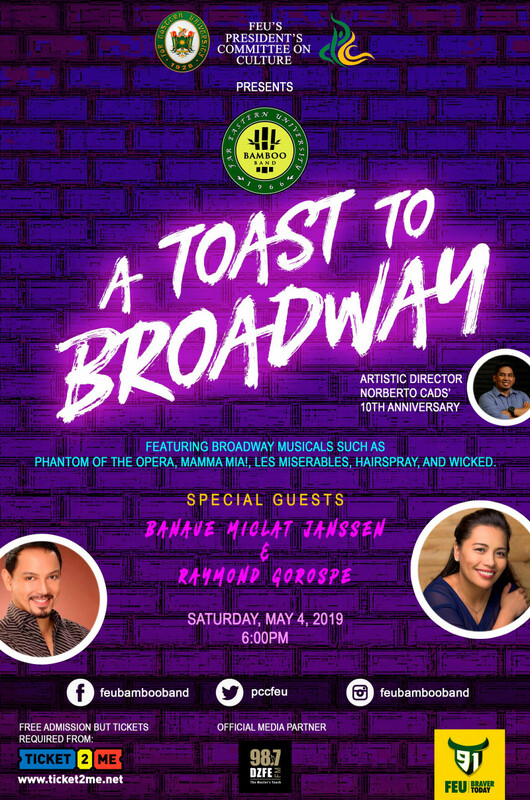 Since 1990, the University has maintained the President's Committee on Culture (PCC) which programs a year-long calendar of cultural activities including but not limited to performances, exhibits, lectures, film screenings and campus tours. 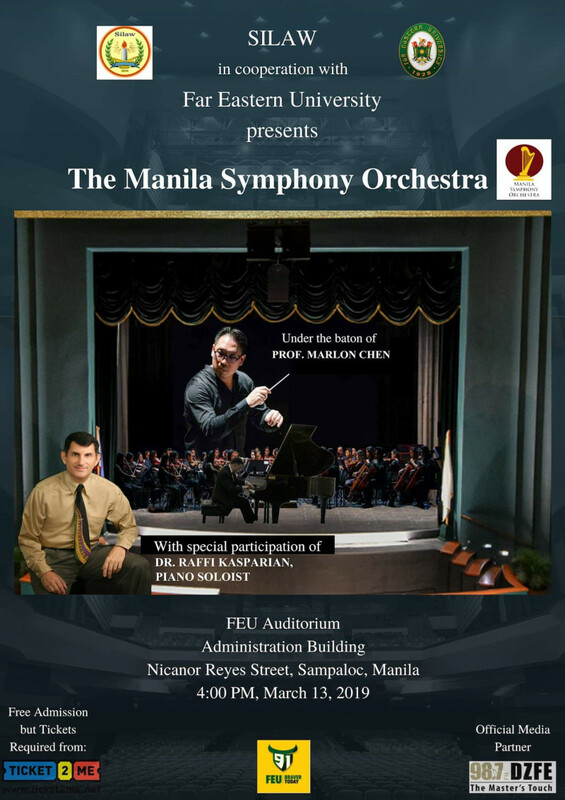 The FEU Auditorium was the Cultural Center of the Philippines from 1949 when it opened to the mid 1960s when other venues opened including the CCP. 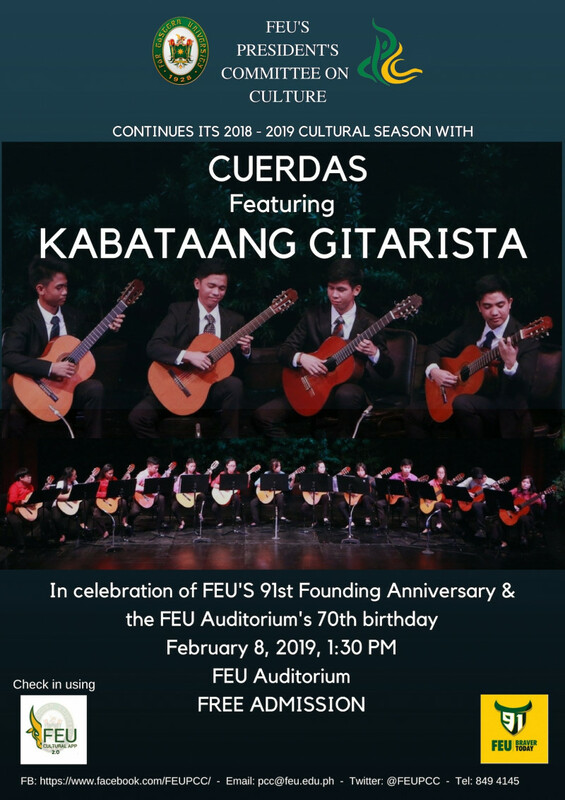 2019 marks the FEU Auditorium's 70th anniversary. 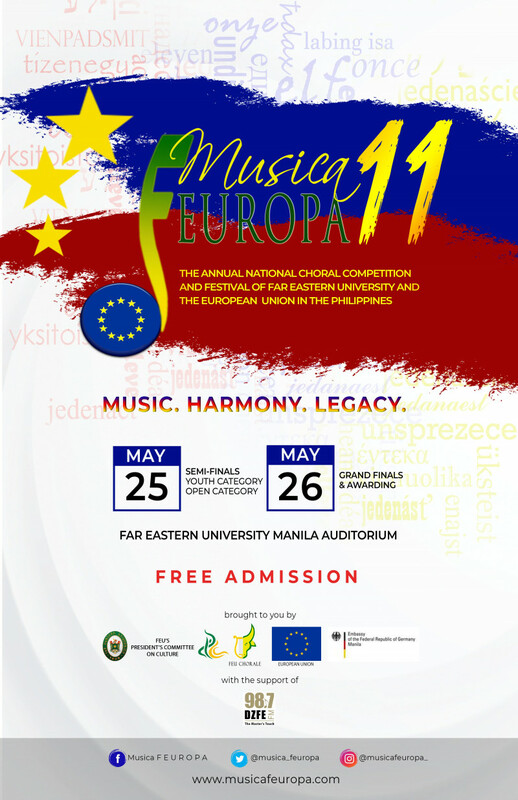 The PCC continues the legacy of the FEU Auditorium with concerts, film screenings, Theater productions, and competitions like the 11th run of MUSICA FEUROPA, the Annual National Choral Competition and Festival of Far Eastern University and The European Union in the Philippines organized by the FEU Chorale.